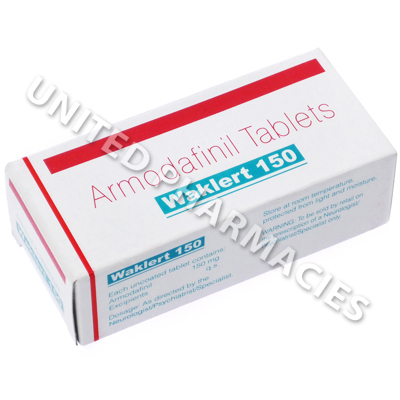 Waklert (Armodafinil) is mainly prescribed to treat narcolepsy, hypopnea (obtrusive sleep apnea), and shift work sleep disorder. It is popular as a nootropic and study aid because of its memory and concentration enhancing properties, in addition to it's ability to ward off tiredness. There are several other off-label uses which this medication is used for, including the promoting weight loss and treating chronic fatigue syndrome, ADHD (attention deficit hyperactivity, depression, Parkinson's disease, fibromyalgia, cerebral palsy, and multiple sclerosis. The most commonly prescribed dose of Waklert (Armodafinil) is 1 tablet per day, which is taken orally and washed down with a glass of water. It is usually best to dose alongside a snack or meal. Narcoleptic patients should dose in the morning, shortly after waking up. Patients with work shift sleep disorder should normally dose roughly an hour before the start of a shift. Consult your doctor for further advice if your shift times vary. Strictly follow the instructions provided by your doctor as both dosage and administration depends on many individual factors. 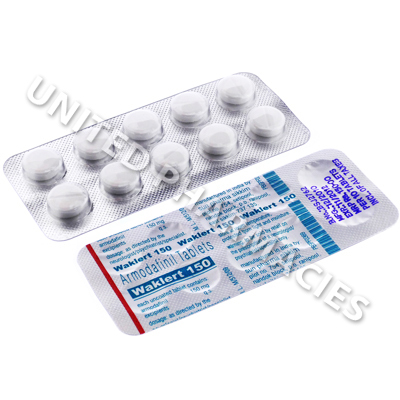 Waklert (Armodafinil)is normally well tolerated and any side effects are mild and short lasting. If you notice any side effects which persist, worsen, or bother you, consult your doctor promptly. The most common side effects include nausea, vomiting, diarrhoea, dizziness, concentration loss, tremors, urination changes, as well as insomnia. Seek immediate emergency medical care if you experience any of the following more serious side effects, or any signs you are suffering an allergic reaction. Serious side effects include, but are not limited to, difficulty breathing, anxiety, hallucination, swelling, sores, blisters, hives, and skin rashes. Female patients taking Waklert (Armodafinil) cannot rely on hormone-based contraceptive methods such as the birth pill, patches, or injections. It is essential that a second barrier-type of contraceptive (such as a condom or diaphragm) be used while taking this medication and for some time afterwards.